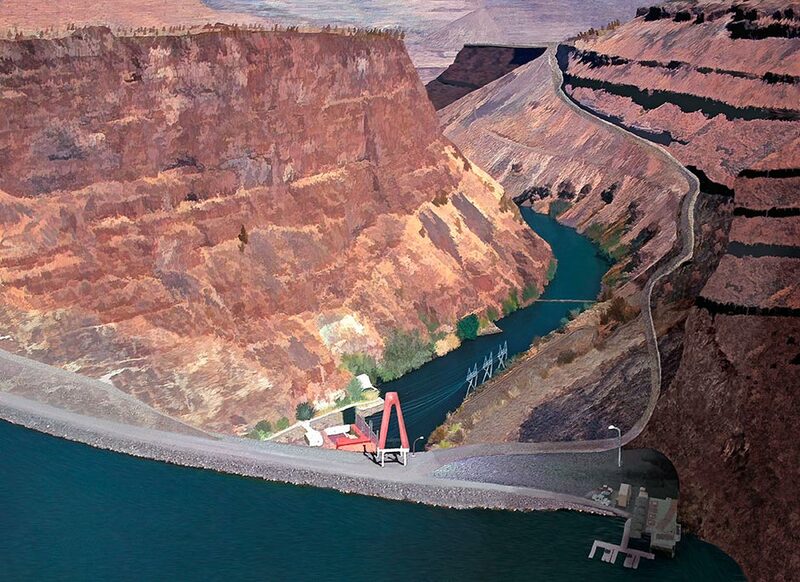 Lake Billy Chinook was formed when the Round Butte Dam held the water from the Deschutes, the Metolius and the Crooked Rivers. The 440 foot rockfill hydroelectric dam was completed in 1965. This painterly photo near Madras Oregon was created on the computer from a photograph. It is printed on canvas with accents of handbrushed acrylic paint to make an attractive gallery wrap wall art.